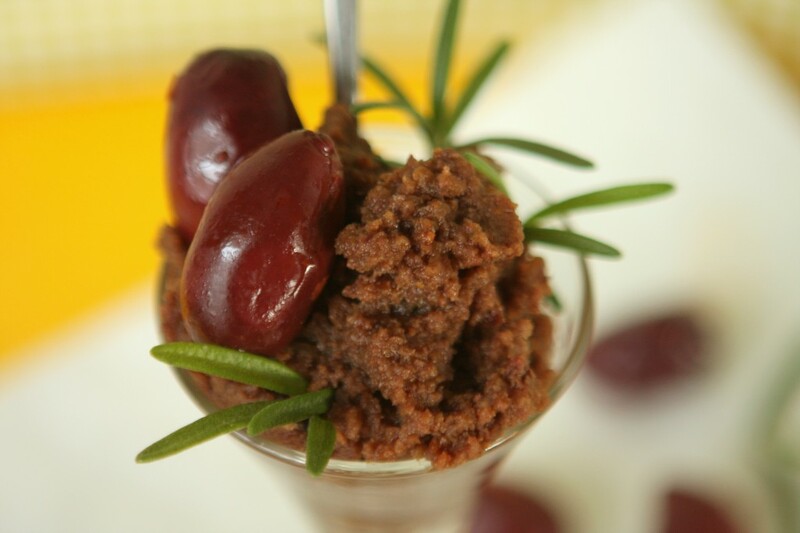 Time for a nice festive recipe that makes everyone happy- a little something for my foodie friends, my allergen-free friends, my vegan friends, and my primal friends. I just love it when I can find something that suits just about everyone :) This spread is pretty easy to make, doesn’t have alot of ingredients, and its big on flavour. Even if you don’t like olives, you’re going to really like this spread. No jokes- when I sold it at the farmers market this past summer I went through a jillion containers of the stuff. 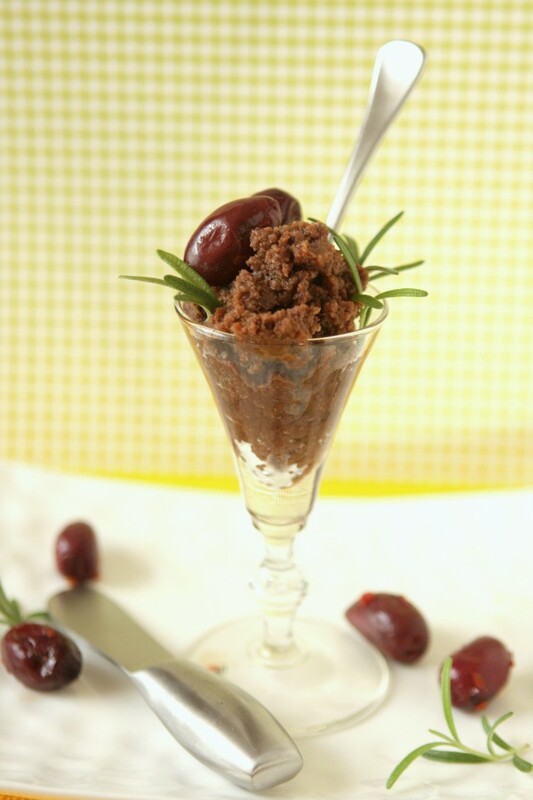 The thing with traditional tapenade (which this is not), is that its kind of salty, really earthy, and really heavy. 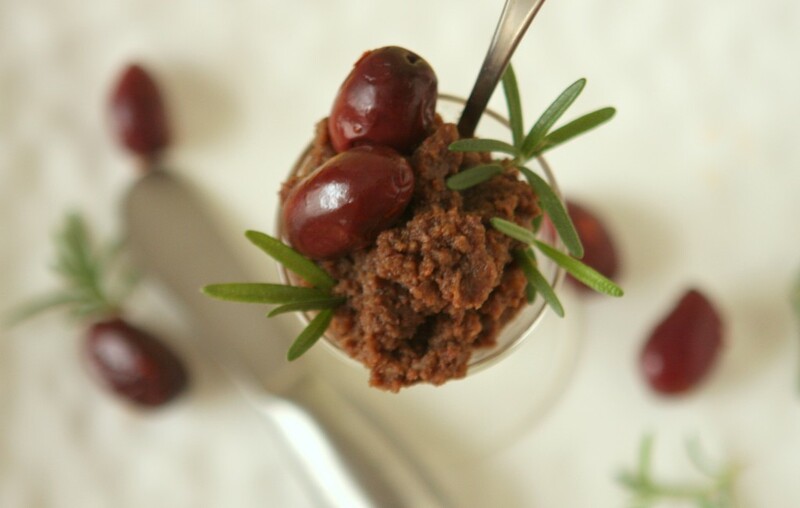 With this recipe, the caramelized figs give a little sweetness, the garlic and rosemary cut through with savoury punches, and the olives are more of a really nice background mellow flavour that add smoothness to the spread. The recipe below makes a lot of dip- good for a big party but even better for putting into pretty glass jars and bringing as hostess gifts or sending home as party favours. It lasts in the fridge for ages- over a month, and freeze well also. The ingredients are easily adjusted to suit your preferences (add more or less as you wish, and throw in some fun things like chili peppers or capers if you like). If you want, include a few capers for saltiness or a little chili pepper for some kick. Roast the walnuts or sunflower seeds at 350 degrees for about 5 min or so, or until they are golden. Finely grate your garlic and finely chop the rosemary. Add to a blender with the walnuts, pulse until really well blended. Add in a little of your olive oil to help blend. Add in the figs and olives, and continue blending until it reaches a consistency you like- add in a bit of olive oil to help blend. Season with salt if necessary, or add in a few capers. If you serve right away, the garlic will taste milder and the rosemary will taste really strong. The next day, you’ll find the garlic is stronger and the rosemary has mellowed. Over time, the rosemary will mellow alot.